Singing with a great choir ! Admission is free, with a voluntary retiring collection to help cover costs. You can read more about Olivet to Calvary in our Programme Notes. 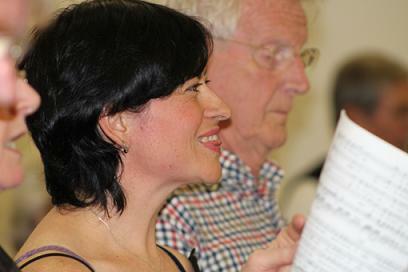 We are a choir of about 65 singers based in Hailsham, East Sussex. 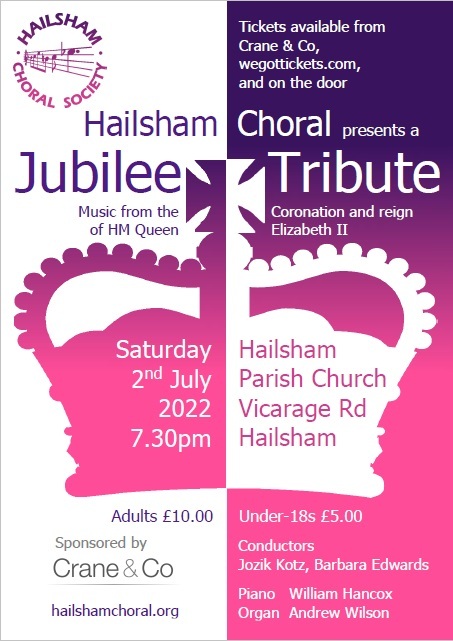 You can find references to a choral group in Hailsham from the early 1930s, but it faded from view during the war - they probably had even more troubles recruiting tenors and basses then! The present Society was founded in 1961, so we are now in our 59th year and still going from strength to strength. We perform at least four main concerts during the year, with programmes featuring anything from Bach (Christmas Oratorio, St. John Passion) to Beatles, Rossini (Petite Messe Solennelle) to Gershwin, Rutter (Requiem, Magnificat, carols) to Rogers and Hart. We’re a sociable lot too, music workshops, coffee mornings, quizzes, even the odd pint of beer or glass of wine (or two)! If you’re looking for a fast way to increase your circle of friends, as well as an opportunity to sing hugely enjoyable music go to the ‘Join Us’ page. For membership enquiries, of if you are interested in becoming a Friend, please see here. For any other enquiries, please email our Secretary. If you want to read our Data Protection policy, it is available here. We would like to acknowledge the generous support of Hailsham Town Council who have assisted us with a Grant. This website is maintained by Simon Marsden. Please get in touch if you have any problems with the site.